Chadwick Optical, Inc. Peli Lens – Temporary And Permanent Prisms - Chadwick Optical, Inc. The temporary prisms are an optical rubber that adheres to your lens and can stay adhered for up to two months if properly applied. They lose adhesion, yellow over time, and offer reduced contrast compared to other materials. Press-on prisms are terrific to trial the Peli Lens concept, but these issues make them poorly-suited for longer-term wear. After a patient has accepted the benefit of the Peli Lens concept over a 6 week trial period, we recommend they start looking at permanent options. When looking at permanent options, we also recommend patients discuss the horizontal and oblique configurations with their practitioners. In some states, the oblique prism allows hemianopsia patients to meet the visual field requirements for obtaining a driver’s license. 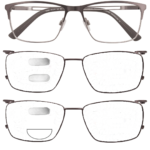 The permanent prisms are a high quality PMMA acrylic material that is embedded into the lens with an epoxy adhesive. They do not yellow or lose adhesion, and offer a much brighter image than the temporary prisms. They are also much stronger in power. While the temporary press-on prisms offer about 20 degrees of field, the permanent prisms offer over 30 degrees of field expansion. 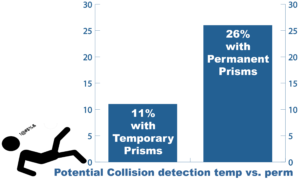 Permanent prisms can give you up to 26% increased collision detection versus the 11% the temporary prisms offer. How Do I Know the Permanent Will Work? In nearly 20 years, we haven’t had a complaint about the increased field expansion offered by the permanent prisms. We do have a weaker prism available, and will switch it out at no charge if a patient doesn’t like the stronger prism. But as a general rule, everyone likes the permanent more than the temporary prisms. Fitovers are designed to be worn over your glasses. They are the most affordable and can be used over any pair of glasses, so there’s no need to update them if your prescription changes. Some are concerned by their aesthetics and their portability. 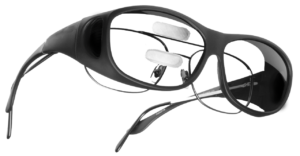 Chadwick Optical’s magnetic clip-on frames allow for a variety of design options and offers the best portability and aesthetics. 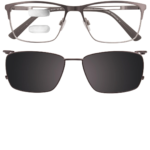 For the best aesthetics, a tinted lens is fit over the top of the frame to hide the prisms. Some patients with limited dexterity may have difficulty attaching the clip-on, so ask your doctor for a demo to see if the magnetic clip-ons are right for you. 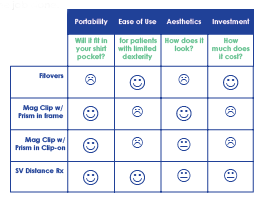 The best balance of portability, aesthetics, and investment, a standard frame with a single vision Rx gets the job done. There are multiple configurations of the Permanent Peli Lens, each having their own unique benefits.